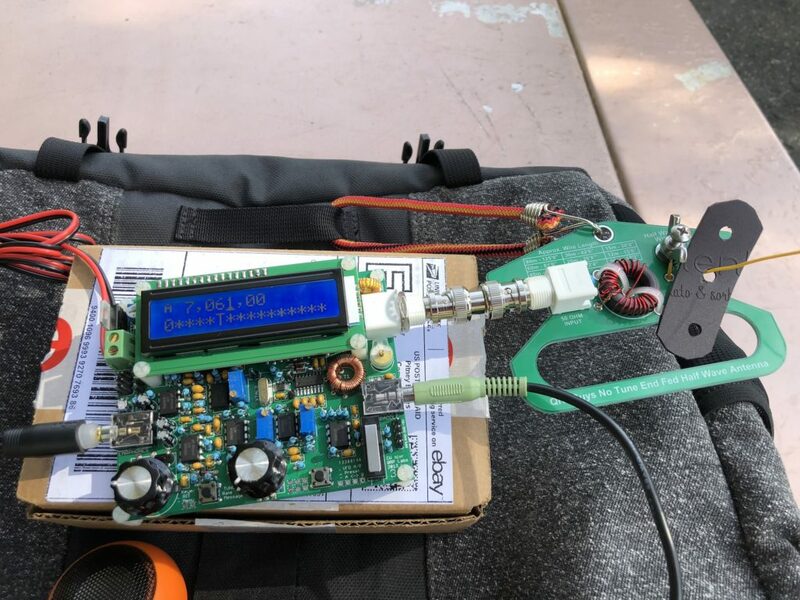 So You Want to Bounce Signals Off the Ionosphere? This was my first CW paddle. It wasn’t the first one I used (that was a borrowed Bencher paddle – good stuff!) but it was the first one I bought, so that I could start practicing sending of Morse code. Sure, I could practice with a straight key, but since I knew I’d mostly be using a paddle for day-to-day (and SOTA) use, I went with a paddle. 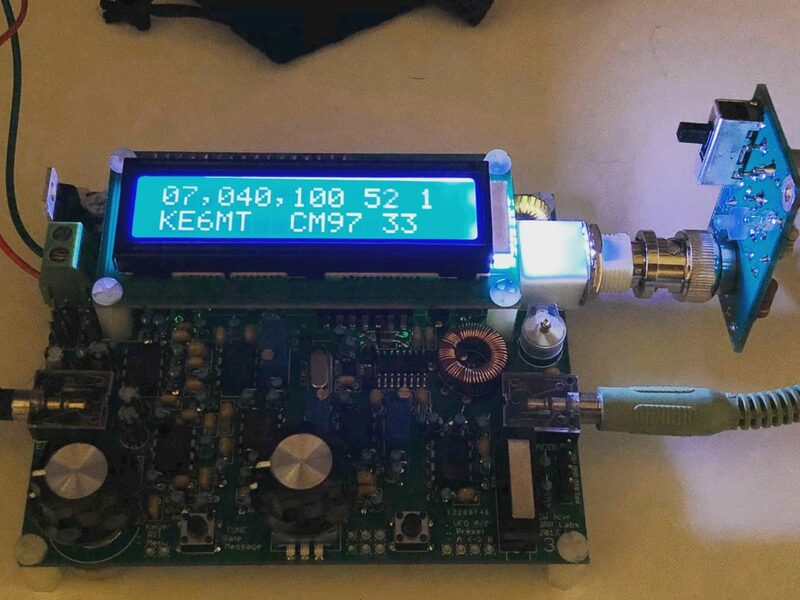 With a “keyer” circuit, either built into the radio (most modern radios have this, including the QCX), or a separate keyer, the paddle sends a continuous stream of “dits” on one side, and “dahs” on the other. If you want to know more about dual-level paddles (and iambic keying), check out this section on Wikipedia. This paddle is one of the least expensive options out there for a dual-lever paddle. 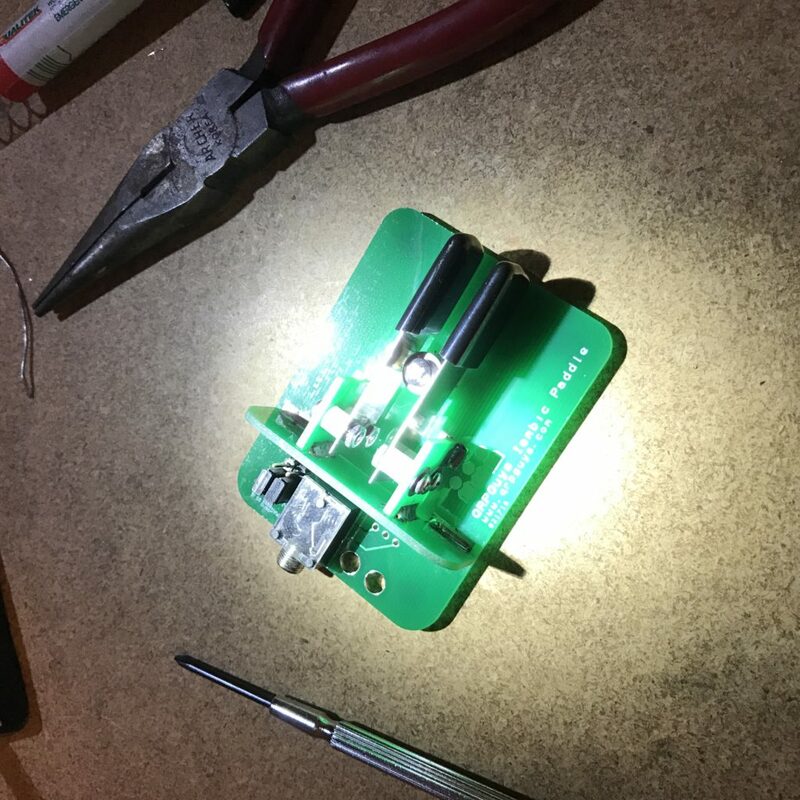 And the assembly consist mostly of soldering circuit boards together. It’s quite an ingenious design concept. The paddles are made of thin stainless steel mounted to come into contact with a center post holding a washer. A very simple, fool-proof design. There are some tricky aspects to this, like getting the tiny nuts onto tiny screws. But overall, it’s a pretty simple assembly process. Just make sure you take the time to align everything correctly! The instructions are very helpful, and all but guarantee success. After using the paddle a bit, I decided I wanted tighter spacing. One way to accomplish this is simply to bend the paddles a bit. They tend to spring back, so I couldn’t bend them enough without removing them. I opted to find a bigger washer. 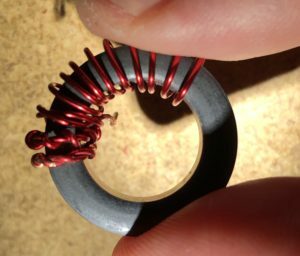 After visiting a couple of different hardware stores, I found a washer that had a bigger outside diameter, while still having a small enough inside diameter. It was just slightly too big, so I filed down the sides a little bit. Now it’s perfect! I’m not going to go super in-depth on CW Academy. I’ve covered it in more depth in other posts on my blog, as well as a little bit in this post. 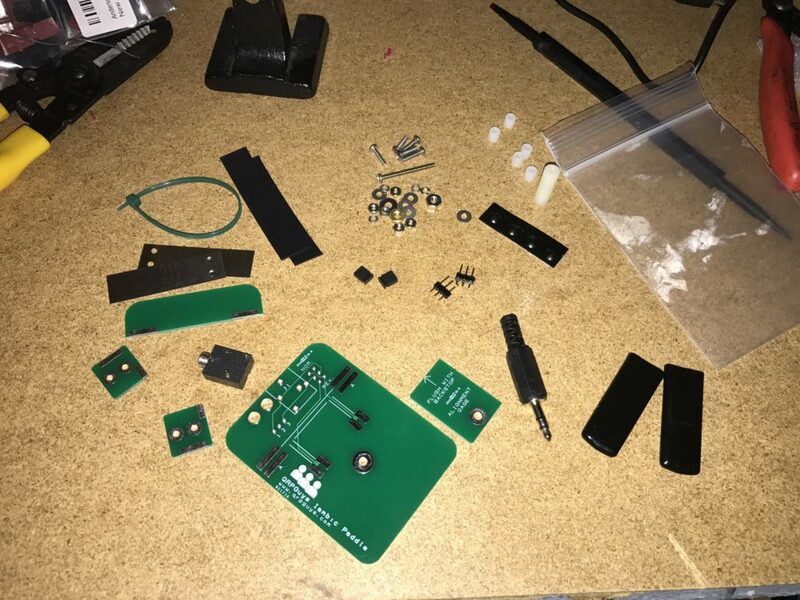 There are lots of different ways to learn Morse code, but I think the most important and common thread to all who’ve had success with it, is to dedicatedly put in the time to learn it. You must do lots of sending and even more listening. Mostly listening. Like, way more listening than sending. 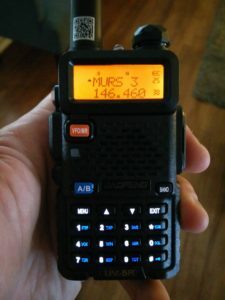 There are lots of good tools out there, and I’ve used them with some success, but with a busy life and lots of priorities, it’s hard to put in the time to really get moving on CW/Morse code. CW Academy provides the path and (more importantly for me) the accountability to make progress. 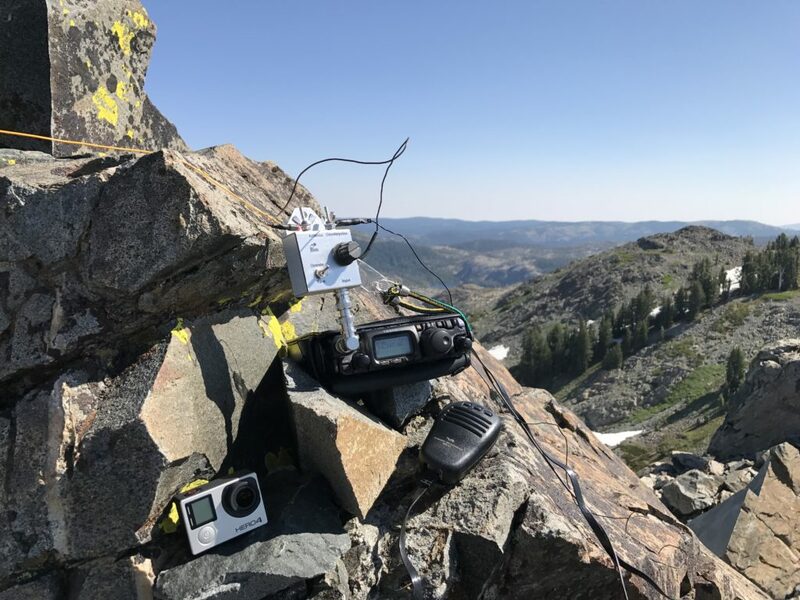 It’s free, and with Level 1, you’ll learn enough to get on the air with your new QRP Labs QCX and QRPGuys antenna. 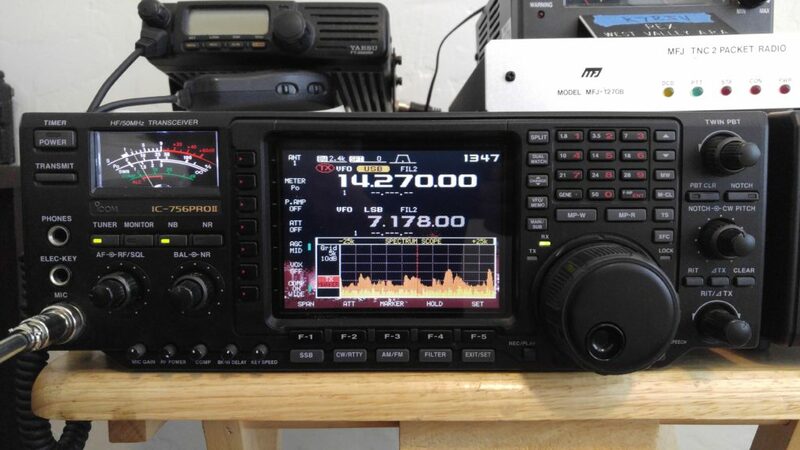 There are lots of ways to do any given activity in amateur radio. 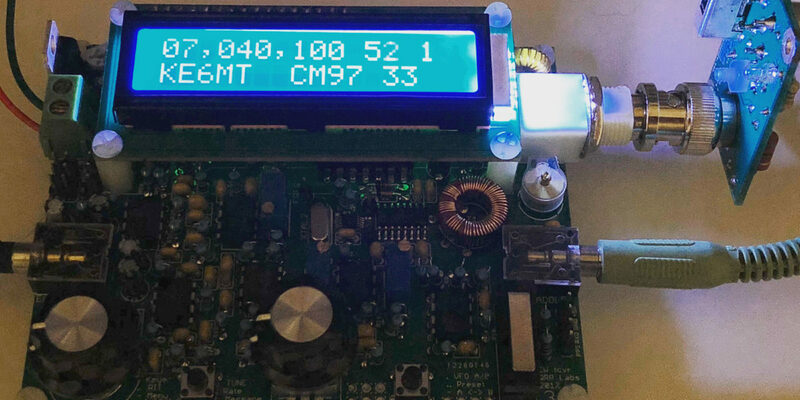 I’m presenting one way to do one thing in amateur radio—get on the air on the 40-meter band. It’s a big thing! 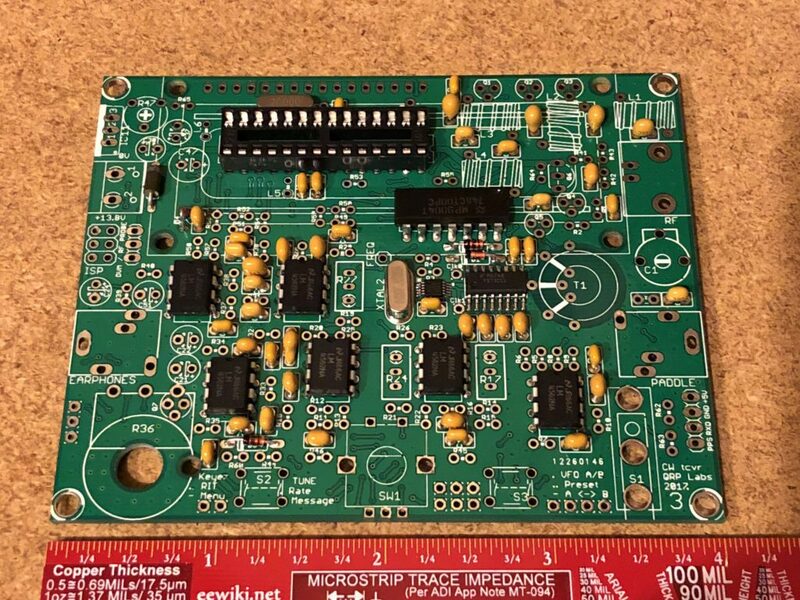 But any ham with a soldering iron and some patience can do this. 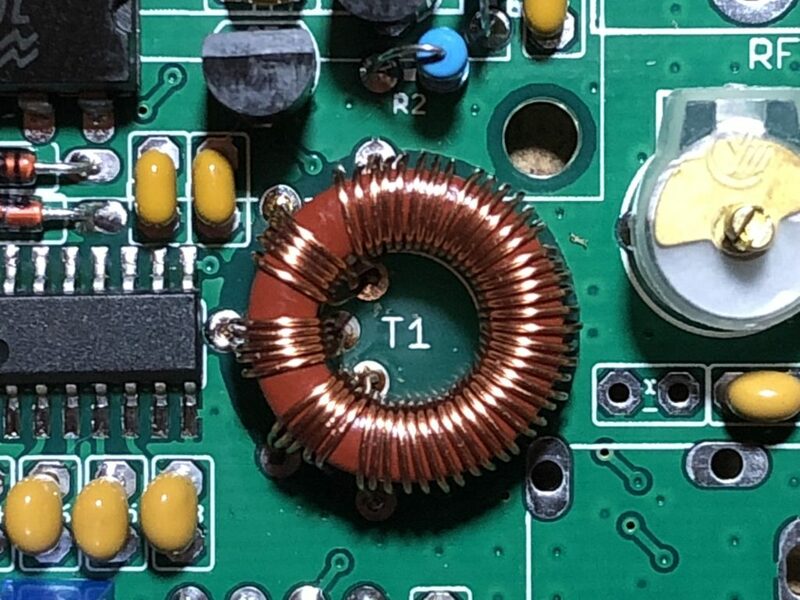 Whether you’re a Technician-class just starting out, or you tested all the way to Extra-class right out of the gate and you’ve been trying to figure out what to do with it, here’s something almost any ham can do. ← Previous Post CW Academy Level 2: Listen, listen, listen! Next Post → W6/SC-261, Pinyon Peak – Success!